South Asia’s Grande Dame welcomes Ramazan 2018 with an array of Ifthar offerings during the holy month. 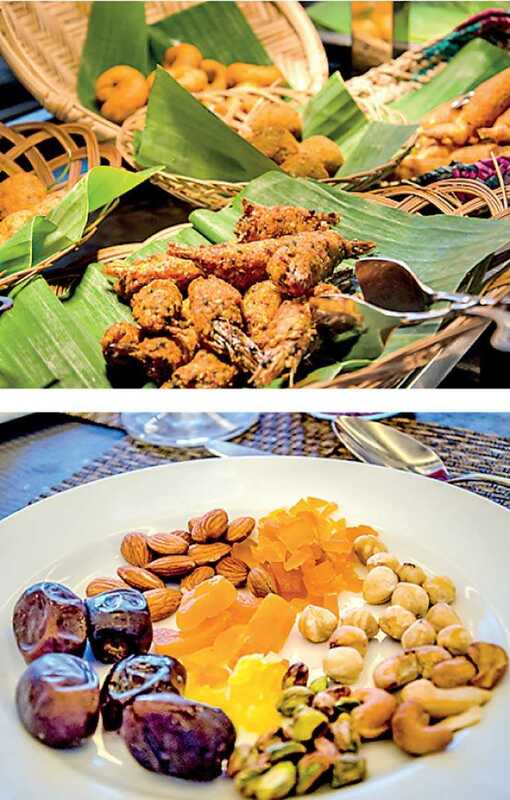 Galle Face Hotel invites guests to share the ceremonial breaking of the fast with loved ones at The Verandah’s relaxed, family-friendly setting. Located in the heart of the city, the hotel offers a delectably authentic Ifthar buffet coupled with The Verandah themed nights, which range from a traditional Sunday roast, BBQ and Tandoori nights, Sri Lankan street food, Arabic, Japanese, and Thai cuisine. From sunset, guests may enjoy a plentiful array of Middle Eastern specialties, including biryani and mutton korma, as well as a delectable variety of Arabic sweets and desserts. This special offer is priced at Rs. 2,480 net per person and runs from 15 May to 14 June from 6:30 p.m. to 10 p.m. The hotel will serve a special Ifthar menu for embassies and NGOs with a delightful selection of Middle Eastern appetisers such as hummus and Baba Ganoush, hot dishes, condiments and sweet treats like wattalapam and date pudding. Also on offer is an exclusive corporate Ifthar spread where guests can select from either the Ifthar Biryani menu or the Ifthar Buffet menu. For prices and reservations, please contact 077 060 2680.